MADISON BIKE BLOG: What is the Wisconsin Bike Fed Doing for You? What is the Wisconsin Bike Fed Doing for You? Here are some updates of the many things the Wisconsin Bike Fed is doing for bicyclists around the State of Wisconsin as of August 2016. 1. Connect 53212. A program in Milwaukee's Haramee and Riverwest neighborhoods helping people to walk, bike, bus and explore the community. The goal is to put a lot of people on bikes and connect neighborhoods. Many people in the area don't own cars and need safe ways to get around. 2. Share and Be Aware Program. Share & Be Aware is a data driven statewide campaign to make walking and biking even safer by educating all road users. Every person, whether walking, biking, or driving has a role to play in traffic safety. 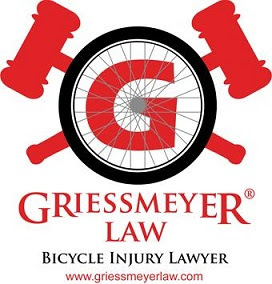 Follow the links on the menu to the left to learn more about your rights and responsibilities when bicycling, walking and driving. A team of Share & Be Aware ambassadors work across the state to spread these important road safety messages. They are available free of charge to teach classes at your business/community group, attend your community event or participate in public meetings. Request an Ambassador here. Share & Be Aware is a partnership between the Wisconsin Bike Fed and the Wisconsin Department of Transportation Bureau of Transportation Safety. Directly educated 13,000 adults and almost 800,000 kids through direct education. The media program has reached 400,000 people in WI. Bike Walk Civics is a free full-day advocacy workshop for people who want training to become better advocates for safer and more accessible bicycling and walking in their communities. Bike Walk Civics is a workshop that engages participants to become powerful advocates for safer and better biking and walking. Hear from guest speakers who are leading the change, and learn how to develop an action plan to make your community more bikeable and walkable. This is a course for people to become better advocates. A pilot program begins in Eau Claire August 19, 2016 and then online pilot followed by trainings a couple times per year. It's all about how people can make their town or community more bike friendly. Laws, safety issues, funding, planning etc. One session is a field trip for problem areas and using pictures for building advocacy. People also learn how to build partnerships. 4. 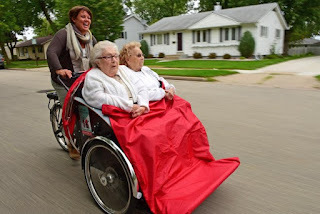 Cycling without Age. Not a Bike Fed Program but Bike Fed is helping. This program in Oshkosh, Wisconsin is among the first in the United States. Volunteers pedal people who are unable to ride themselves due to age. Getting people out on bikes helps with diet and depression. 5. Route of the Badger. Rails to trails a non profit in Washington picked Wisconsin to invest in because Southeast WI between Milwaukee and Racine have 90 percent of their populations living within three miles of a bike trail. There are only seven places in the U.S. like this. The goal of the program is to improve connectivity to fix silly gaps. 6. Safe Routes to School. Safe Routes to School programs encourage children in grades K-8 to walk and bike to school by creating safer walking and biking routes. These programs were initially funded through the revised federal transportation act, SAFETEA-LU, which was signed into law on August 10, 2005. This legislation provided funding to state departments of transportation to create and administer SRTS programs. SRTS programs improve walking and biking travel options, promote healthier lifestyles in children at an early age, and decrease auto-related emissions near schools. Over 2500 kids in Milwaukee have engaged in this program. There are small groups at middle and high schools. Two neighborhoods in Milwaukee have benefited from this and over 200 people have received free bike mechanic access. A ride from West to East across the State of Wisconsin appealing to those who want to log a lot of miles in one day in a safe environment and ride with Trek Pro riders.